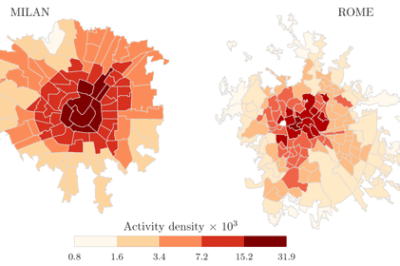 District activity density in Milan (left) and Rome (right). From: De Nadai et al., 2016. Researchers in Italy used a collaborative mapping tool, census data, land use data, and mobile phone data to compile information about the movement, interactions and life of an urban area.